The December Meme Master Post can be found here. Please feel free to leave a question or topic! alexseanchai wants to know about learning ASL. I first became interested in American Sign Language when I was about six or seven. 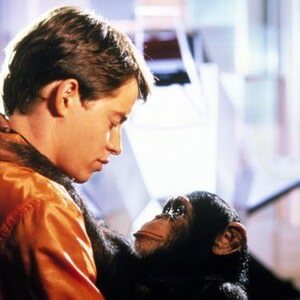 I remember seeing Project X, a movie about military experiments with a signing chimpanzee. I thought it was the coolest thing, and then I also learned about Koko the gorilla (gorillas were my favorite animals). I was hooked and wanted to learn. I tried to teach myself from books, but it just didn't work. I was too young, and I couldn't “see” the movements they were trying to show in books like The Joy of Signing. I did manage to teach myself, and my sister, the alphabet from books, but that was as far as I ever got. It wasn't until high school that I finally got the opportunity to learn. I had a schedule problem, I think it was my junior year, and I was trying to get my schedule fixed the first week of school. They told me that there was a brand new class at just the right hour if I was interested in taking ASL. Was I?! I was stoked! Turns out we had a Deaf student at school now, and his interpreter would be teaching one class a semester. I was a few days late coming into the class, so the teacher took me aside that first day and pretty much gave them free time while she tried to catch me up. To both of our surprise (surprises? ), I picked it up like that. For the most part, she only had to show me a sign once and I'd remember. I got caught up that first day and enjoyed my new class. I also made very good friends with David, the Deaf student. As my signing skill grew, so did our friendship. I learned even more, and much faster, as David became my best friend. He taught me a lot, although he had a more Signed Exact English approach, so my own signing is really kind of pidgin. ASL is an intricate language all of its own, with its own syntax and grammar rules. Signed Exact English uses ASL signs in English word order, and a few other differences. My senior year, my teacher had helped me get an internship at a local preschool for the Deaf. I worked there for my first period class all year, and I loved that job with all my heart. The class size was small, maybe 5 or 6 kids, and the teacher was a sweetheart. All the kids weren't even Deaf. There was one hearing boy there who had apraxia and aphasia, and he couldn't speak. He just couldn't make the proper mouth forms for it, so he used sign language instead. I did part of my senior project on him and his struggles, because as he was going into kindergarten the next year, the local school district was fighting providing him with an interpreter because he wasn't deaf. I eventually went on to major in sign language interpreting in college, but I could only afford one year even with a full scholarship. After I came back home, I worked with David for a while and would double as his interpreter at work. It was a lot of fun working with my best friend, and I liked doing interpreting work even if I wasn't officially an interpreter. I would later find work at a group home for the Deaf and developmentally disabled. I also did one-on-one and employment support work. I really enjoyed my work, and there was a big Deaf culture in Asheville. But eventually David moved away, and then I did. There's no Deaf culture where I am now. It's been about a decade since I had anyone to sign with regularly. I did teach a sign language class at our homeschool co-op one year. Ivy was really good at it, a lot like me when I first started learning. We didn't really keep up with it, in part because I'm so out of practice that I'm not really good at it anymore. I'd like to get it back though. I do miss it. Oh, this was fascinating! Thank you for sharing. I've been fascinated by sign language ever since I read "The Baby-Sitter's Club: Jessi's Secret Language" back when I was 10, but never got much beyond learning the alphabet and numbers. How AWESOME that you could take the subject at school!!! Thanks so much! I'm glad you enjoyed this post. I firmly believe that it's never too late to learn! If you're interested, there are online video dictionaries that make learning sign language a lot easier these days. I like LifePrint.com for ASL, but I think maybe you're not in the US/Canada. You may find some with your own local sign language if you search around. I hope you get the opportunity to take a class sometime! It's so much fun.